Disclosure: This post was done in partnership with ZURU 5 Surprise and all opinions are 100% my own. 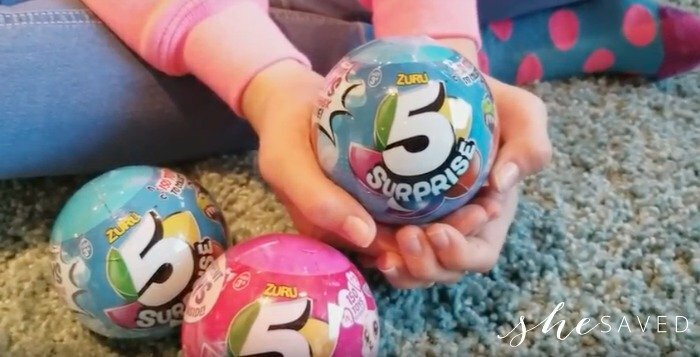 I’m so excited to share our review and unboxing of these blind bag ZURU 5 Surprise Toys! They are so fun and unique. 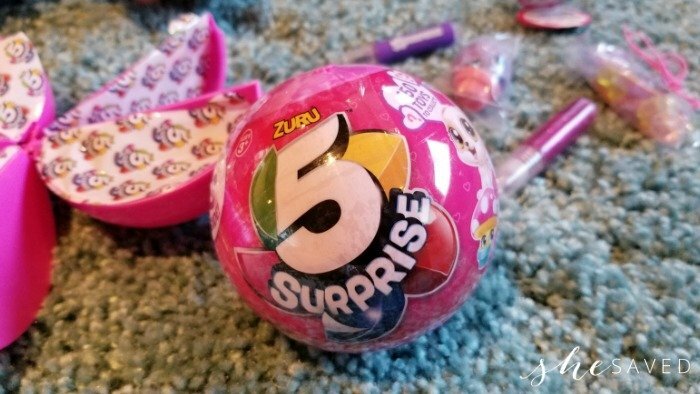 Have you heard about theseZURU 5 Surprise toy balls? They were new to us, but super fun and exciting to open! Each ball comes tightly wrapped and conceals 5 surprise toys. With each ball, you will also receive a little product sheet letting you know what other items are available in other 5 Surprise balls. I like this toy for a few reasons. First of all, who doesn’t like surprises!? Second, they are small toys and as you will see, they both included some items that promote imagination and play. And third? I love that they are SMALL because we don’t need more clutter. These ZURU 5 Surprise Toys make for a fun little gift item and I also think this would be a perfect incentive toy! Maybe set one of these on the back of the toilet for potty training, or even allow a child to open one after receiving a good mark at school. They would also be awesome for travel, since they are small and you could easily bring this toy on a plane and allow your little ones to open up another section during increments of your travel. 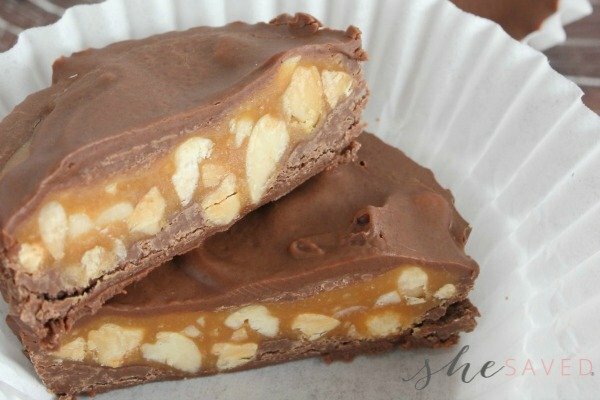 (I sound like I’m all about the bribe, don’t I!? … I’m really not, but I do love positive reinforcement and I can tell you, this would be a great toy for that if you find yourself in need!) If you are interested in purchasing them, they can be found in stores and even on Amazon here. I won’t share too many photos of what’s on the inside, in case you want to be surprised. BUT in the event that you would like to see what’s on the inside, I’m sharing our “unboxing” videos of each color down below. So… which do YOU like best? We were a bit surprised to find that we really liked them BOTH a lot, and my daughter is typically pink through and through but I think she liked the blue one just as much as the pink, and maybe even more! It just goes to show you that you can’t always judge something by the outside and I think that the blue one excited her more because it had the slime and the fun little squishy character BUT you can also find those in the pink ones, it all depends on which ones you get! They mystery is all part of the fun with these!